We haven’t really gone all out for Valentines Day because after Christmas is my birthday and our dating anniversary, so we always just take a breather on the celebrations. I remember on our first Valentines Day 4 years ago Tim sent me flowers and they never showed up! We had just started dating two weeks prior, so I remember it being slightly awkward because neither of us had any expectations. I adore this top from Banana Republic because it’s really stretchy and I love a feminine sleeve detail. I also linked a similar top in the widget that I purchased because I just love the detail so much! Both are pretty, but if you just want one or the other I would recommend the pink one because it’s a little longer and the material is a bit softer. I twisted my hair back into this big bow which can be used in your hair or pinned into your skirt, which I’m planning to do soon! I wanted to tie in the black and white together so I paired it with these Kate Spade Peggy heels that also have a bow detail. I found these at Nordstrom Rack last year, so I’m linking other shoes that I would wear with the look if I had them (aka on my wishlist!). 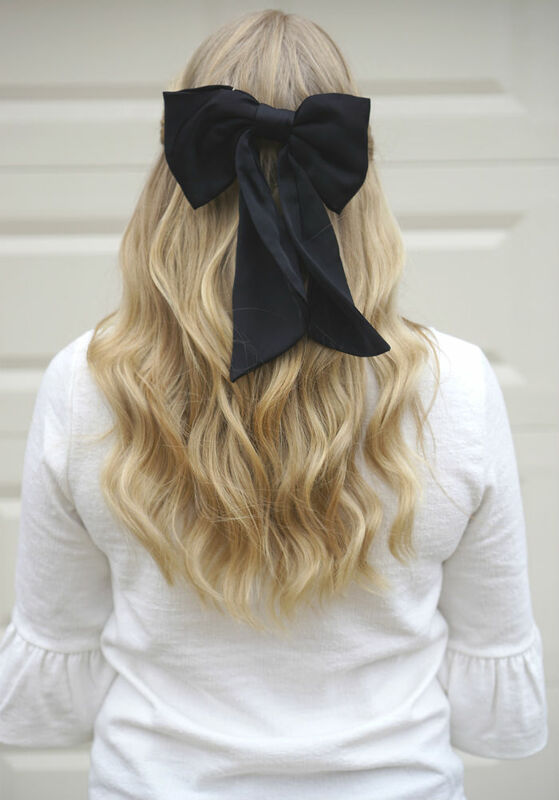 I am LOVING the bow trend!! 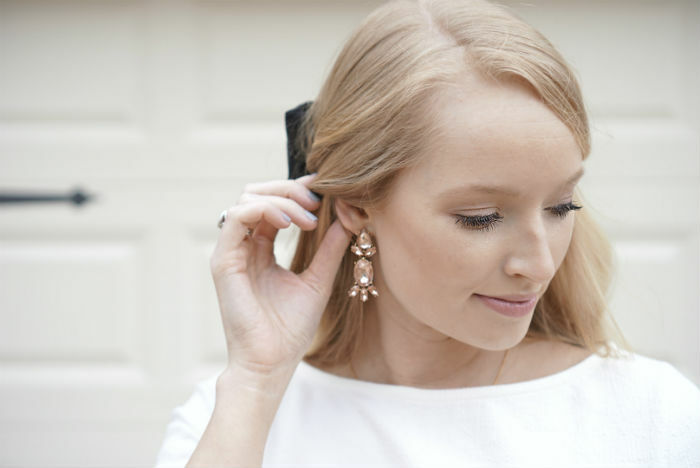 I have worn smaller ones in my hair recently but I love this big one…such a classy statement!! Such a timeless outfit with the black, white, denim and those shoes!! I love that I can pin it on my tops and skirts, too! Girl you can totally pull this off! I LOVE IT. I love the detail, the femininity of it – so chic! 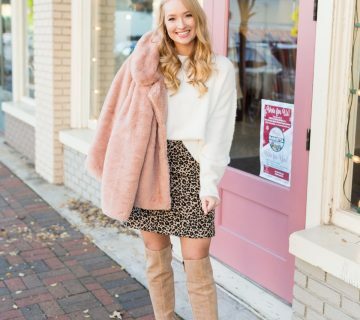 I'm obsessed with anything polka dot and am crushing on your shoes! So sassy! 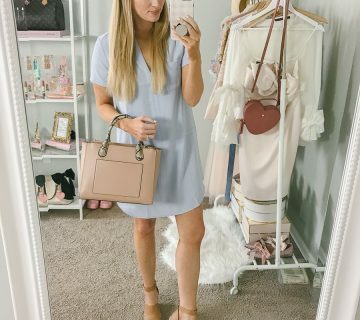 They're my fave Nordstrom Rack find to date! Okay, this is absolutely adorable!!! 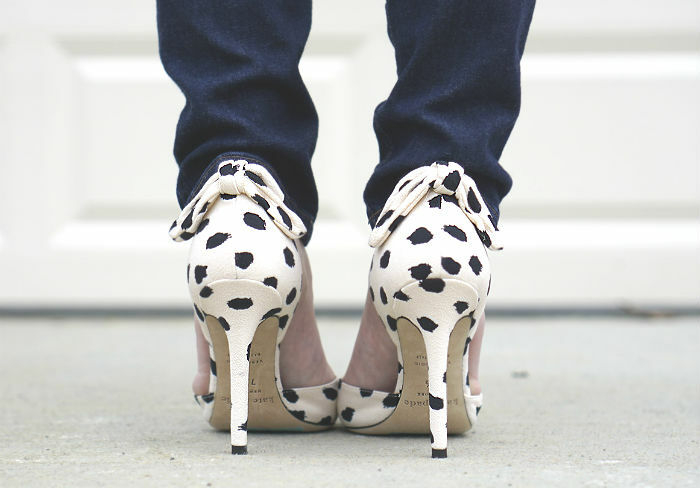 I love, love, love your pumps and the bow in your hair is so pretty!!! This is so feminine and chic! Adorable! This is beyond gorgeous. Your hair looks amazing!! 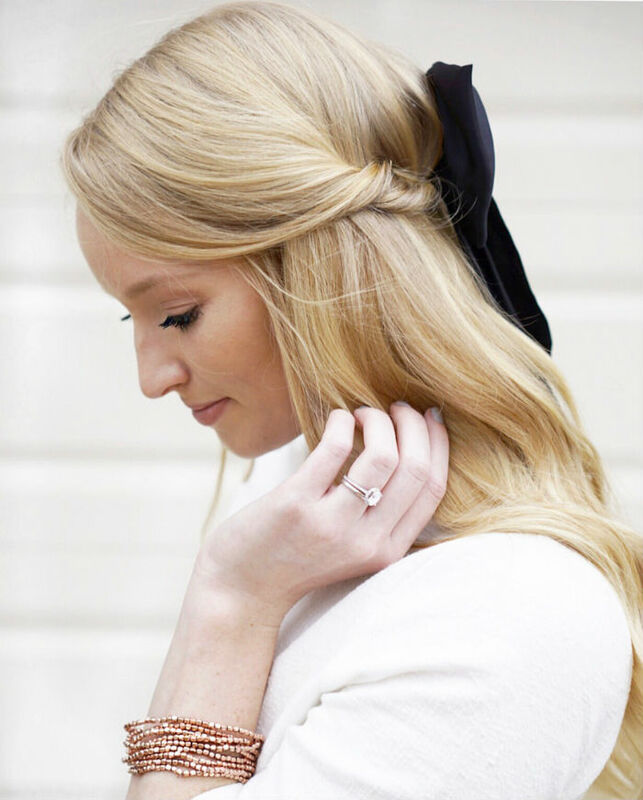 bows = all things classic and feminine, right up my alley! !